Proud to be a very small part of 38th Annual Volunteer Spirit Awards – and Volunteer New York. What an inspiring group of people. 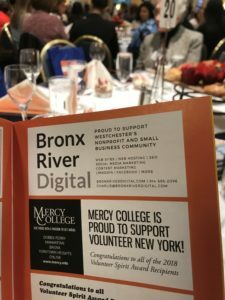 Bronx River Digital will continue to support the nonprofit community in Westchester County and beyond in every way we can.